We’ve officially reached peak fidget spinner, as Google has added one to the ever growing list of Easter eggs in search. The search giant has a long history of adding funny results in search, and with the latest one, you can actually bring up a virtual fidget spinner and play with it right in your search results. To bring up the Google fidget spinner, just search for the word ‘spinner’ and you’ll see the result. There are actually two different spinners – a number wheel that you can spin to randomly generate a number between one and six, simulating the results of a dice roll, or a fidget spinner. The number wheel moves slowly and delivers results quickly enough, but if the toggle is set to Google fidget spinner, it moves fast and keeps you watching for a long time. If, in all this, you’re scratching your head and wondering what we’re talking about, then here’s a quick explanation. Fidget spinners are a hugely popular type of fidget toy that has pretty much taken over huge swathes of the world by now. 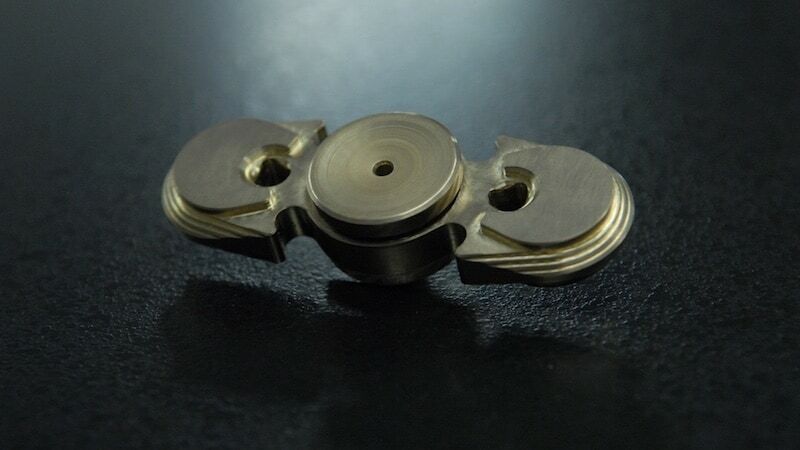 As we noted in an earlier article, fidget spinners are just one type of fidget toy, which also include fidget cubes, and other toys based around springs and magnets. The spinners, however, have eclipsed all the others by now, and you can find them all over the world and in India too. In the US, fidget spinners are being sold on the streets and in souvenir shops. In India, they were the preserve of online stores just a month or two ago, but now they’re being found in supermarkets and toy stores. The question here has moved from “what is a fidget spinner”, to “where can I buy one”. The idea is that a fidget spinner gives you something to do with your hands and helps you to otherwise focus and concentrate, and can be genuinely helpful to people with conditions such as ADHD. However, these have largely just caught on as toys, and are popular with children and adults both, looking for something new to play with. In Germany recently customs officials in Frankfurt prevented the entry of 35 tons of fidget spinners, saying that the toys were choking hazards, and the government plans to crush these toys to destroy them. With the rising popularity of the fidget spinner, it was only natural that others would try and cash in on the trend. That’s why you have, for example, a number of different fidget spinner apps that promise the experience. Of course, a large part of actually playing with a fidget spinner is to give you something other than your phone to fiddle with, and there is a strong tactile element to it as well, as you feel something solid moving around in your hands, and that’s not something you can replicate on the phone. The apps largely miss the point of why people like fidget spinners, but now, Google has gotten on board the bandwagon as well. We searched for ‘spinner’ in Google and took the fidget spinner for, well, a spin. It loads quickly and there’s a certain hypnotic quality to it, true, as the spinner turns and slows steadily, much like the real thing. There’s no sound though, and of course, it’s just an animation on your screen, so it’s the kind of thing that you might want to spin once or twice, but after that the gag loses a fair amount of charm. Still, if you are obsessed with fidget spinners but your boss won’t let you carry one to office, or your teacher won’t allow them in class… this could tide you over.